When it comes to marketing your business online, it can be difficult to decide which digital marketing strategy is best for promoting your company. Two of the most common digital marketing strategies, Pay-Per-Click (PPC) and organic Search Engine Optimization (SEO), each have their unique advantages and drawbacks, and while each strategy might work better for some types of business, it is important to know which one will get you the most clicks and increase your website traffic. Pay-Per-Click, or PPC, is the term used for a digital marketing strategy in which the business owner pays for advertising space for targeted keywords on search engine results pages. For example, if you were the owner of a car repair shop in Des Moines and a user did a search for “Des Moines muffler repair,” the PPC strategy would allow a link to your website to appear at the very top of the search results page, with a yellow-highlighted tag that says ‘Ad’ next to it. On the plus side, this draws the user’s eye to your store immediately and may increase your chances of having your website’s link be the first one clicked on the whole results page. On the other hand, many people do not like PPC ads due to their sometimes deceptive nature, and have all but trained themselves not to click on those links marked ‘Ad’ on general principle. Search Engine Optimization, or SEO, is often referred to as an “organic” or natural” search, meaning that the websites that are better optimized for search engine hits naturally come out on top of a list of results from a targeted keyword query. Going back to the mechanic shop example, a website using the SEO marketing strategy would utilize data analytics to target the keywords likely to get your site the most hits. So when a user would type “Des Moines muffler repair” into the Search window, your repair shop would “organically” come out at the top of the list, thanks to the impact of the keywords. Since many search engine users view organic search results as more trustworthy and factual than PPC ad results, this could boost your website’s traffic and ultimately earn you more business. 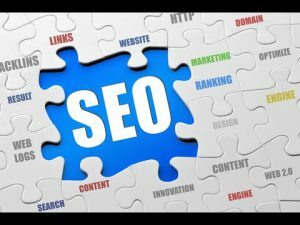 However, it could take a while to generate sufficient website traffic for Google’s algorithm to push your link to the top of the pile. Also, keep in mind that the PPC ads will always come out at the very top of the list of search results, so even if your SEO-optimized website has earned you the top spot on the results page, there will still be two or three ads on top of you. How Does Cost Factor In? It might be stating the obvious, but PPC marketing can be costly in order to be effective. Since you are “paying per click,” it can cost a business owner $50-$100 per day to get the ad space necessary to generate enough clicks to yield results. Still, don’t be fooled into thinking that SEO is free. While a business owner does not have to pay an ad company directly for organically-generated search engine results, there will still be a good deal of an investment in time and money going into optimizing your website for optimal search result placement, whether it is something you do yourself or whether you hire a professional SEO expert to help you. Which Strategy is Best for My Business? The decision to use PPC digital marketing or rely on organic search results depends largely on the size and reputation of your business, available marketing budget, and specificity of keywords associated with your business. Because PPC and organic SEO searches can both yield results, the best solution is to utilize both if your budget allows. PPC ad placement can help to jumpstart your business’s web traffic while waiting for your website to gain enough traction to begin increasing organic keyword-based hits. Contact our Search Engine Optimization experts at Local Search Titan today for more information on how our SEO and PPC best practices can help your small business’s online marketing campaign.